100,000 twinkling white lights covered the hilltop property, turning the frozen exterior into a magical winter wonderland. 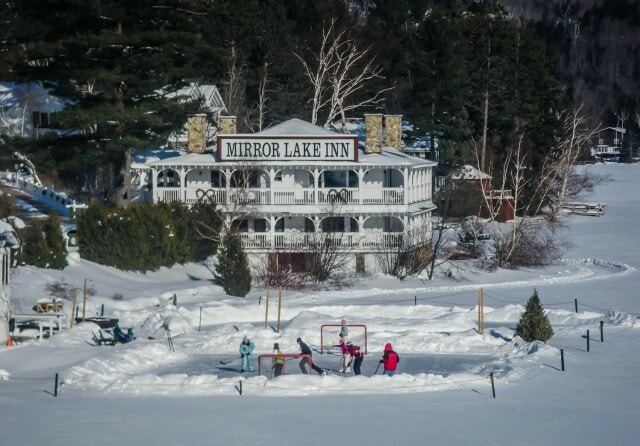 Mirror Lake Inn in Lake Placid, New York was just as I remembered – gracious, gorgeous, and serene. When last I visited the award-winning resort and spa, spring flowers graced Adirondack gardens as my husband and I celebrated our ninth wedding anniversary. Now snow covered the land and I was there alone on a media visit to learn about Lake Placid’s Olympic Center, and whether or not Mirror Lake Inn was as well suited to a family vacation as it was for romantic getaways. 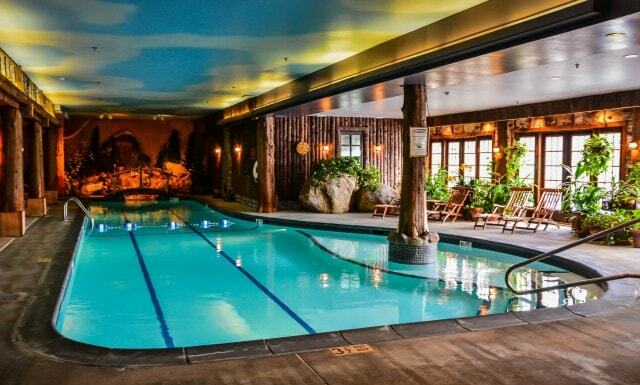 When I first stayed at Mirror Lake Inn, I was still in the throes of young parenthood and deeply grateful to my in-laws for keeping our 7 and 4-year-olds. Up until that point, I had only once spent a whole day and night away from my children, and that was before the second child was born. It was exciting just to be away from the kids, but at the same time, I needed a lot of distraction to not spend the entire time worrying about them. Our beautiful surroundings at Mirror Lake Inn provided plenty of that. We walked around the lake, shopped for candy and toys on Main Street, sampled the Ubu Ale at Lake Placid Brew and Pub, but mostly we stayed onsite just being utterly and decadently lazy. The height of which was that we signed up for the couples version of the spa’s signature treatment–the Adirondack Maple Sugar Body Scrub. Toe-curling pleasure, that’s all that I can recall. 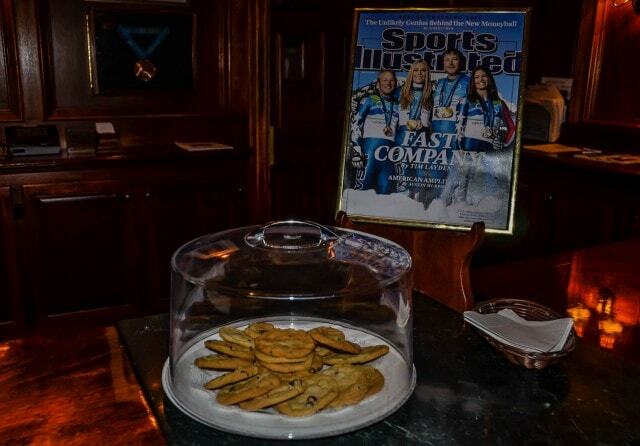 Next to the welcoming homemade chocolate chip cookies at the hotel’s front desk is a framed copy of a Sports Illustrated’s front cover with the USA medal winners at the 2010 Winter Olympics in Vancouver; among them, bronze medalist and alpine ski racer, Andrew Weibrecht. Proud parents and hotel owners Ed and Lisa Weibrecht keep that image as well as their son’s bronze medal on prominent display, a reminder of the inn’s Olympic tradition but also that this is a place that is by and for outdoor enthusiasts and their families. Built in 1883 as a private home, the estate was transformed in 1924 into the “Mir-a-Lac Inn” by “Fuller Brush Man” William Wikoff. It quickly became known as a high-quality resort attracting a very wealthy clientele from all over the state, especially New York City. 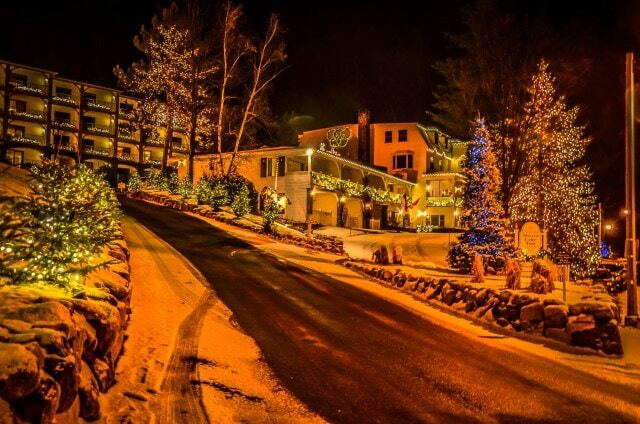 Over the years, Mirror Lake Inn developed a reputation for sports innovations–from the first “rope-tow” for skiing Dream Hill behind the inn, the first bobsled run, and even the first skating camp. Ed and Lisa Weibrecht purchased the inn in 1976, but they continue that tradition of warm elegance and outdoor fun. Guests are also encouraged to make themselves at home in the common areas–as long as cellphones are left off. Parents and their well-behaved offspring may gather to relax and play board games in the library or to converse over a hot beverage and fresh cookies during the Afternoon Tea Service. 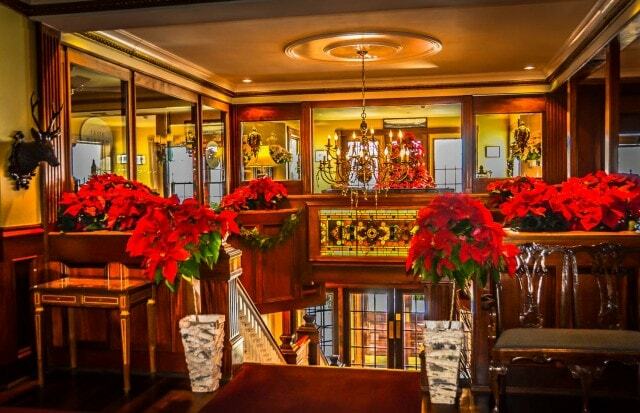 The reason families return to Mirror Lake Inn, year after year, is the setting. Gorgeous and pristine, Mirror Lake reflects the lush evergreen trees of the Adirondack forests that surround it. Summer days, the lake sees children playing on the beach, while others paddle out on a canoe or kayak. In winter, one is reminded of a scene out a Norman Rockwell print as kids square off in an impromptu hockey match while others loop into a figure eight on the private skating rink. Full-time concierge guide service can help guests take full advantage of the Adirondack’s 6-million acres of lakes, forests, and mountains. On warm days, they can arrange fly fishing, rockclimbing, a family wilderness canoe trip, a sunset kayak tour, charter boat fishing, an evening hike, and more. Winter activities include a wilderness adventure snowshoe trek, an ice climbing adventure, snow cave fun, ice fishing and bobsledding. Disclosure: I was provided a media rate for the purposes of this review. As always, my opinions are mine alone. 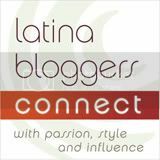 Lovely post, Sandra! I’ve been eyeing this one for a few years and it’s time my family and I made a trip North. While I won’t brave the icy conditions, I’ll spring for a more warmer season instead.